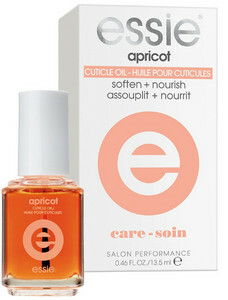 Soothing apricot scented massage oil by Essie. Rehydrates and revitalizes cuticles and nails. The distinctive combination of cotton seed and soybean oils seal in moisture and aid in rehydrating and revitalizing cuticles and nails while providing maximum nourishment.